PALETA has long been known for their cold-pressed juices and farm-to-table eats. Now they're introducing Paleta Pressed Potables! Just add your favorite alcohol to these potent potables and you'll have a cocktail created with fresh and delicious organic fruits, vegetables, nuts and spices to please your taste buds! Best part they make mixing up cocktails insanely simple. The reason we often get hangovers isn't from the alcohol itself but from the sugary mixers that accompany it. These sugary culprits also contribute to your pants being a little snug after happy hour. By mixing your liquor with Paleta Potables, you can sip your way satisfied and ensure you're only putting the freshest ingredients into your body. After enoying a few of these cocktails on a warm summer night, you can actually cleanse your palette, and your body, by sipping the Paleta Potable juice on its own. 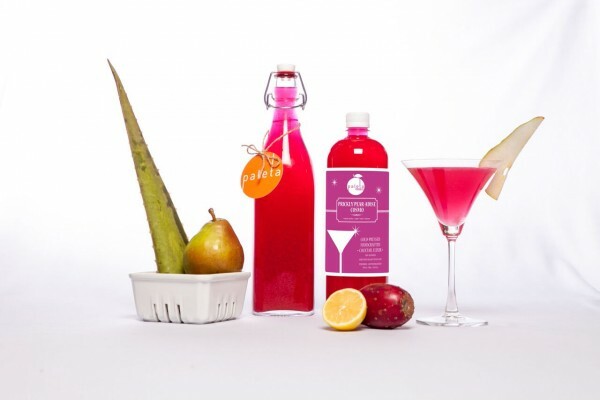 The Prickly Pear-Adise Cosmo combines aloe which aids in digestion, lemon to balance your body's pH levels and Nopal Cactus aka 'P['rickly Pear' to soothe your stomach and help with hangovers. Basically this is a cocktail and a "cleanse" all in one! Ready to mix up your own cocktail? Follow the recipe below and check out all the Paleta Potable flavors here. Mix all of your ingredients in a shaker filled with ice.